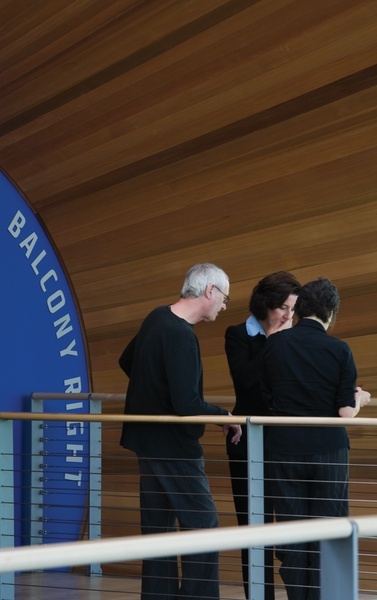 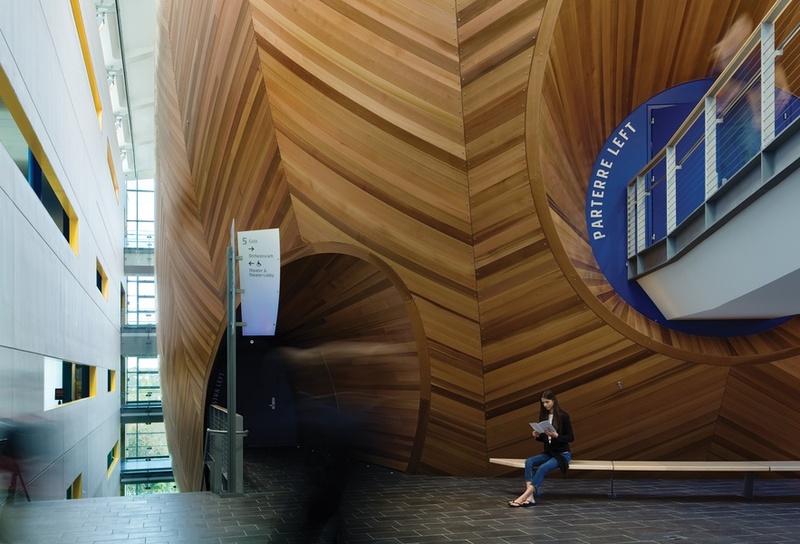 EMPAC is a new $350 million facility housing experimental performance spaces, offices, artist-in-residence studios, a gallery, a cafe, and a radio station. 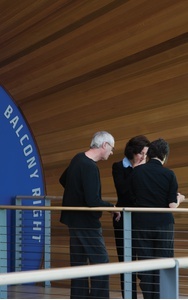 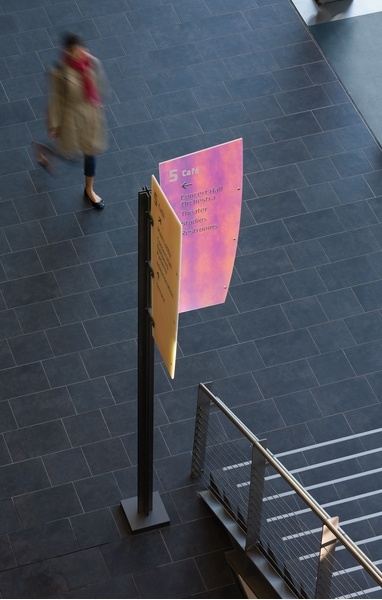 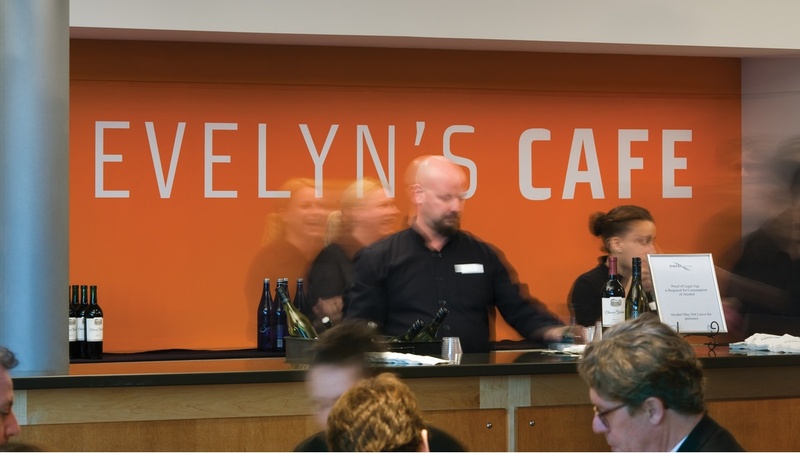 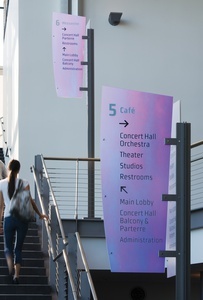 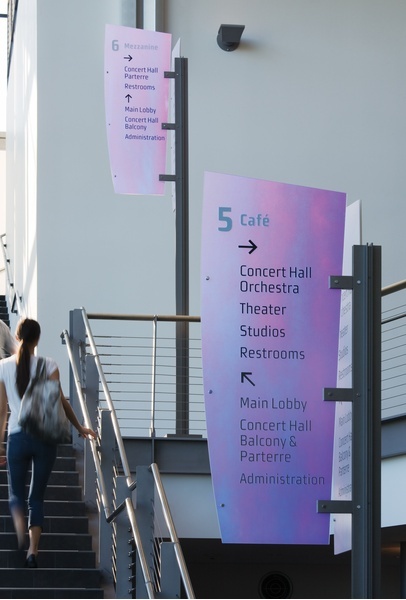 The wayfinding program draws on three forces for inspiration.The unique shapes derive from principles of acoustic design, avoiding right angles and embracing curved lines; the reflective iridescent finishes, constantly changing color, are inspired by the sunset paintings of the Hudson River School; and the construction techniques correspond with the details of the architecture. 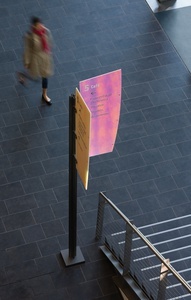 Architects: Grimshaw, Davis Brody Bond Aedas. See more about EMPAC in Fresh.